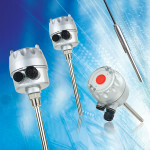 Categories: Grain Temperature Monitoring, Solids. The EST series is a grain storage temperature and level monitoring product line incorporating two types of sensing cables, the EST110 and EST120, and our MMS-TLA PC-software. Grain temperature monitoring is critical to managing the quality of grain in long term storage. Insect infestation and mold growth can occur and can also be detected by looking for temperature increases or “hot spots” within the grain in storage. The EST 110 grain temperature monitoring sensor cable provides temperature sensing at up to 30 points along the length of its cable, with a maximum cable length of 98.4ft (30m). 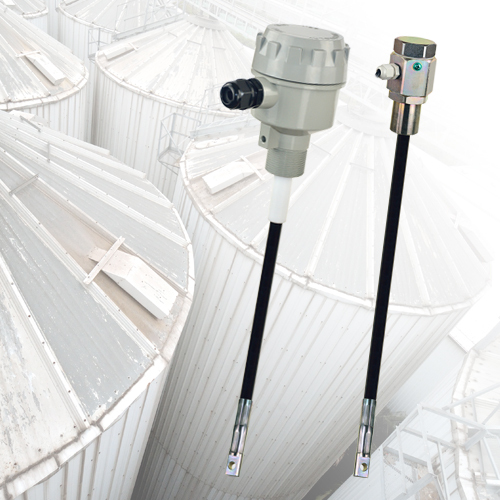 The EST120 sensor cable allows for grain temperature monitoring and continuous level measurement at the same time along its cable with maximum length of 98ft (30). The most important attribute of the EST series grain temperature monitoring system is the use of 1-wire digital temperature sensors. This makes the system vastly simpler and less costly to install than the traditional thermocouple based temperature measuring cables of other brands. Each EST110 cable requires a simple two wire connection, no matter how many temperature sensors exist. And the EST120 cable provides a two wire RS485 MODBUS serial link. All cables are tied together simply by using our HubLink devices, each capable of connecting four EST110 cables together and providing a single RS485 MODBUS output. A single 2-wire cable is all you need to wire between HubLink devices and the PC that will be running the MMS-TLA PC-software. Or, you can choose to use our wireless data transmitters to further reduce wiring, overcome physical obstacles to wiring and further lower installation costs and simplify the installation! 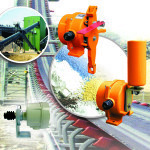 SVP Series vibrating rod point level sensor is designed to detect the presence and absence of powder and bulk solid materials of moderate to heavy weight. The SVP vibrating rod point level sensor requires no calibration, is easy to install and setup.